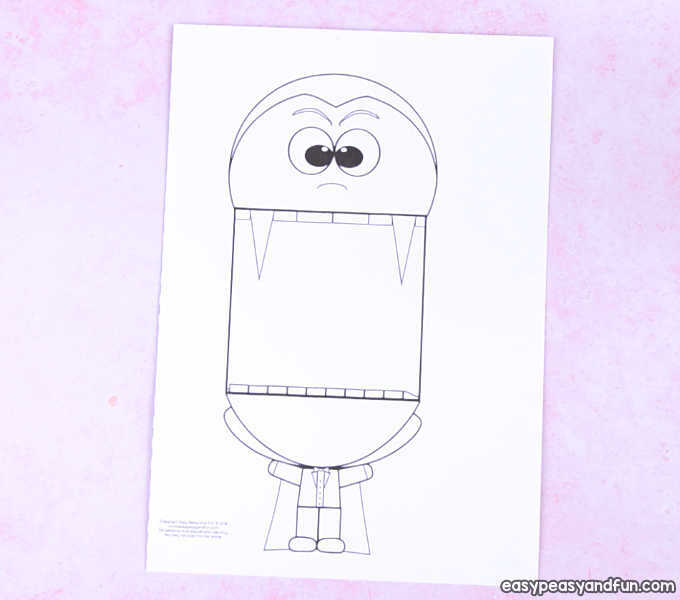 Vampires sure can be scary, but that certainly can’t be said for our Surprise Big Mouth Vampire printable paper toy! 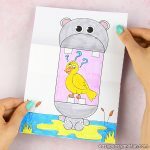 This fun little project is fun to make both at school or in the classroom, and as it’s an easy one, kids as young as preschool can easily make one. 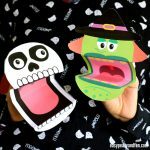 If you are a fan of all things Halloween, you just have to check our printable Halloween monster puppets, they are what inspired the vampire craft that we are sharing today. 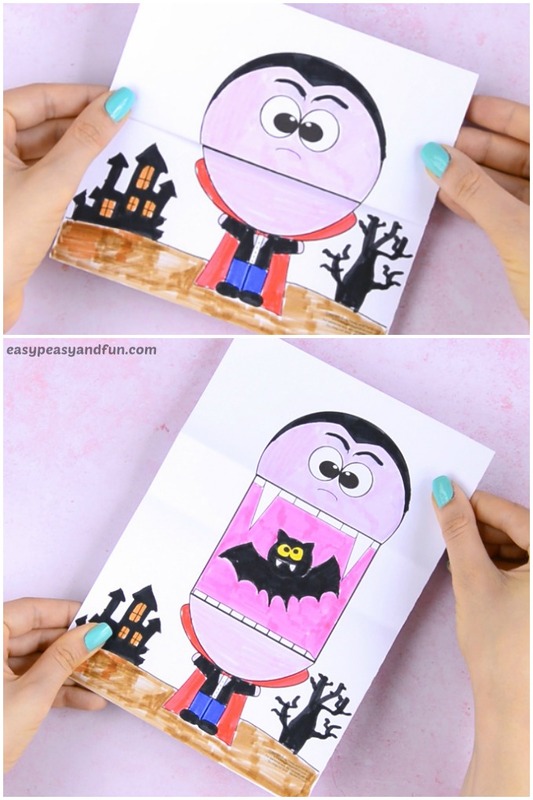 This one allows for quite a bit of creativity, as there are enough empty spaces around the vampire design for kids to add their own art. 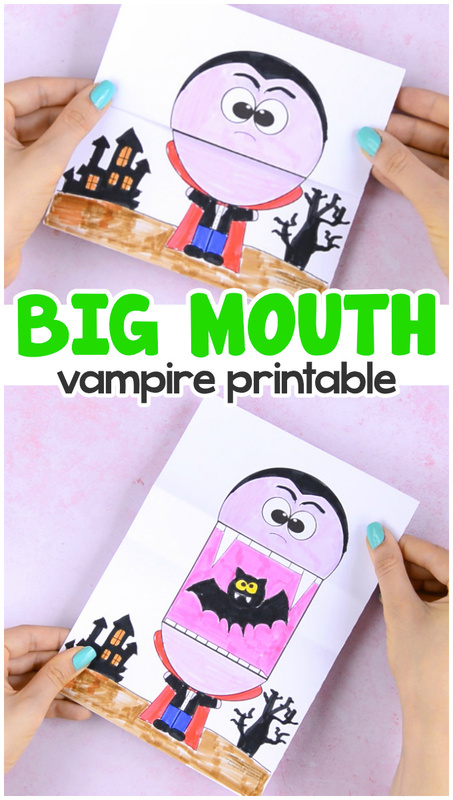 They can draw something inside the vampire’s mouth (garlic anyone? 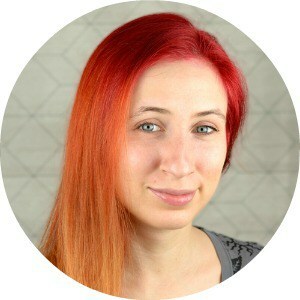 ), or write a special message. The background is open for creativity too, have the kids design a setting fitting for a vampire. A spooky mansion in the background, a starry night, coffin even and turn this craft project into an arts and craft session in one. Ready to have fun with this one? 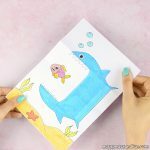 Print out the template and follow the tutorial. Print out our template. 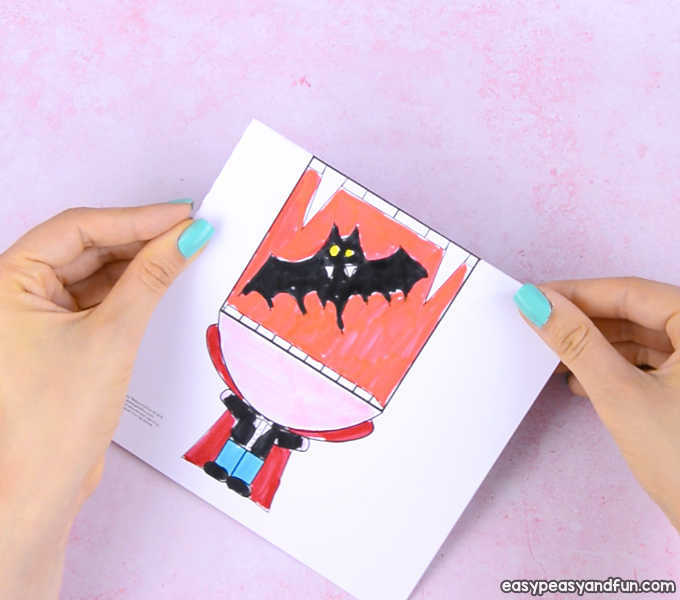 Most paper toys, this one included, work best when they are printed on heavier print paper (cards stock). This makes them more durable. 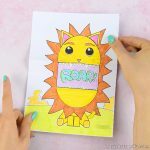 Heavier print paper is also a better pick when it comes to coloring with markers, as the markers won’t bleed through and wrinkle the paper. 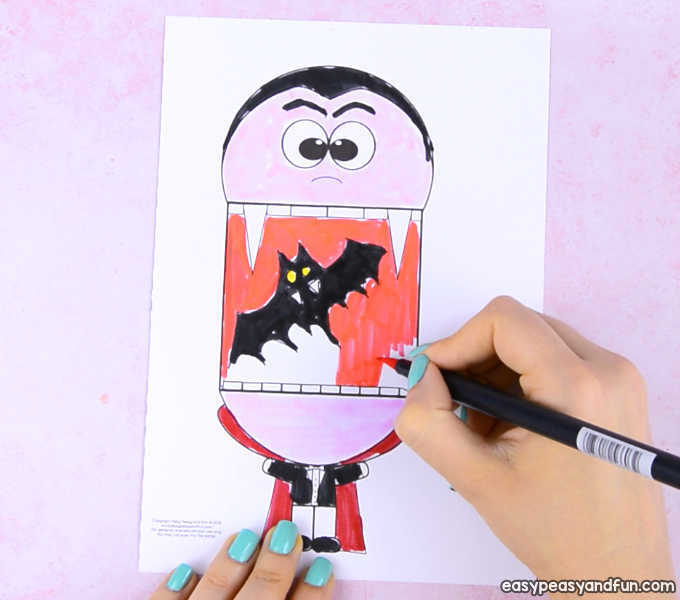 Color the vampire design. We think pale and pastel colors work best when it comes to coloring a vampire – light purple, light blue or light gray being the “common” picks. 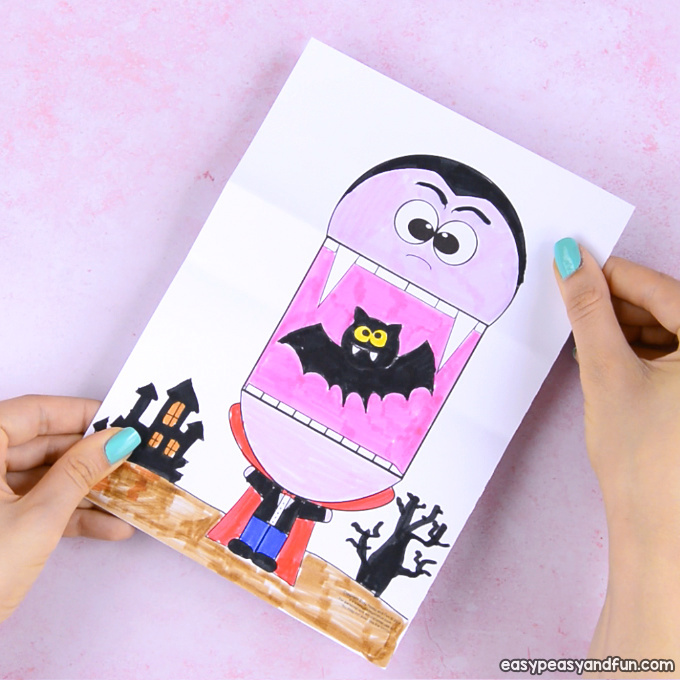 Once the kids are happy with how they colored the vampire, encourage them to design their own background too. 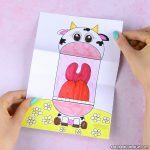 This can be a wonderful lesson too, as when they design their own background, they need to be aware of how this paper toy will close and open up. Tip: it’s best to fold it before designing the background to see where the folds will be. Next have the kids fold the vampire design along the straight upper lip line. The fold needs to run across the paper width. Have them run their fingers or a craft stick across the fold to make it nice and crisp. Only one step left before your vampire craft is ready for action. 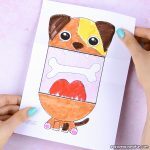 Bring the fold you just made down to the lower lip, align it to the lip line and press the paper down to create a fold inside the mouth. Pretty cool one isn’t it? 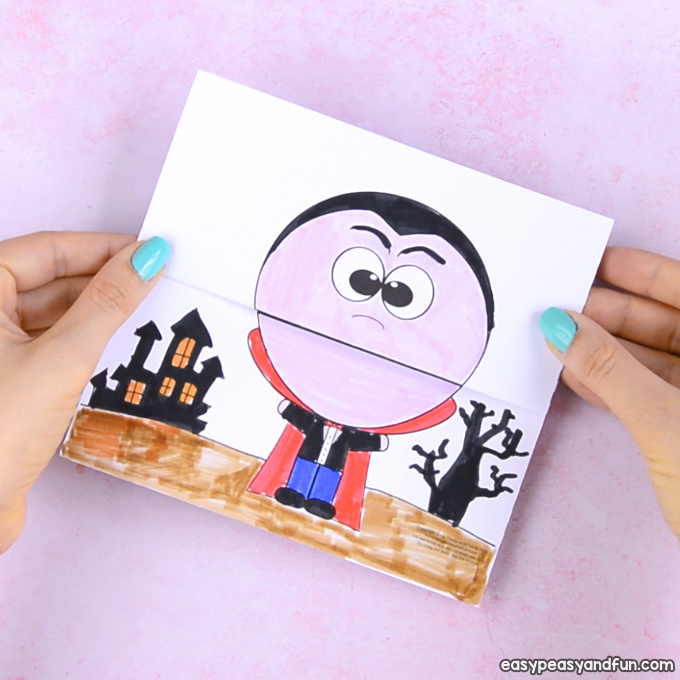 Perfect project to make at your home or as a classroom craft on your Halloween class party.